Allows you to grow like the professionals! The Compact Plant Plug Trainer for seeds and cuttings allows you to grow plants like the professionals on your own windowsill/greenhouse. Designed for minimum impact on roots. No squeezing! For healthy roots! Integral water reservoir. Transparent multifunctional top. 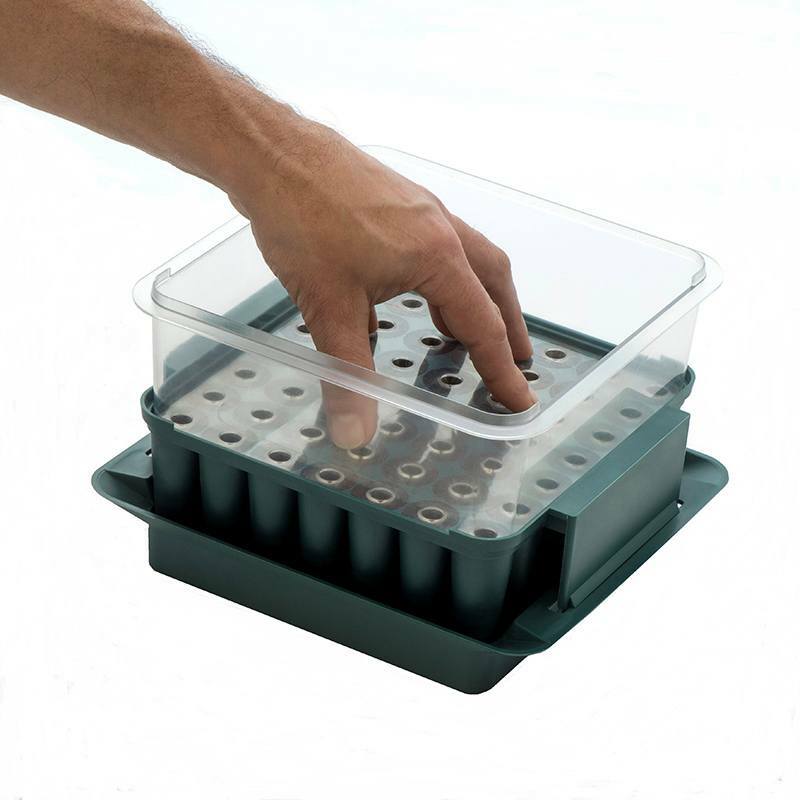 Use with or without ventilation by turning the top 90 degrees to give you the perfect microclimate. 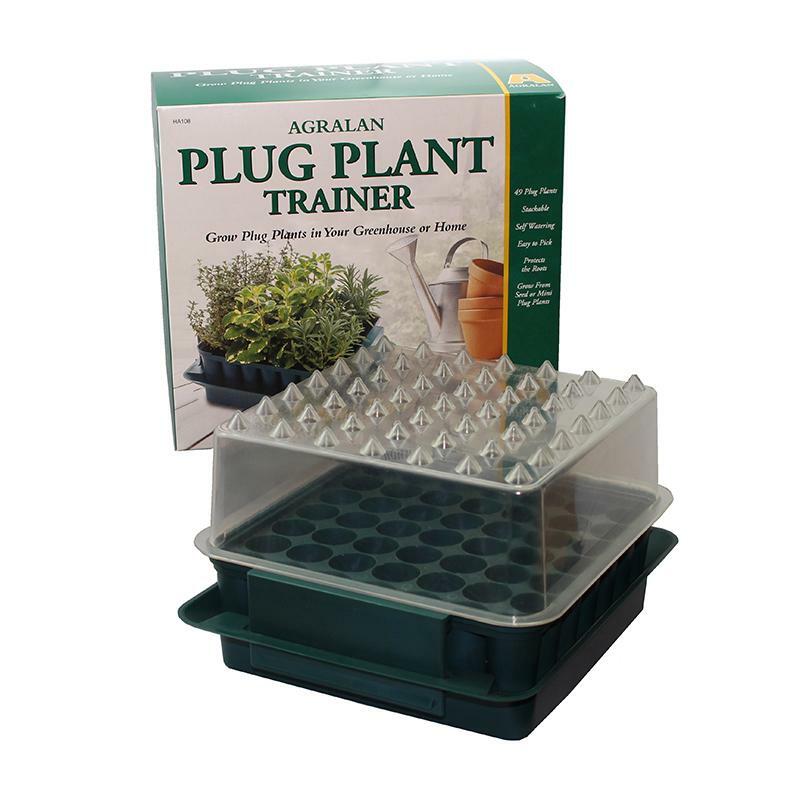 The unique “pop up” system makes it easy to remove plants automatically with no root damage. Easy watering. 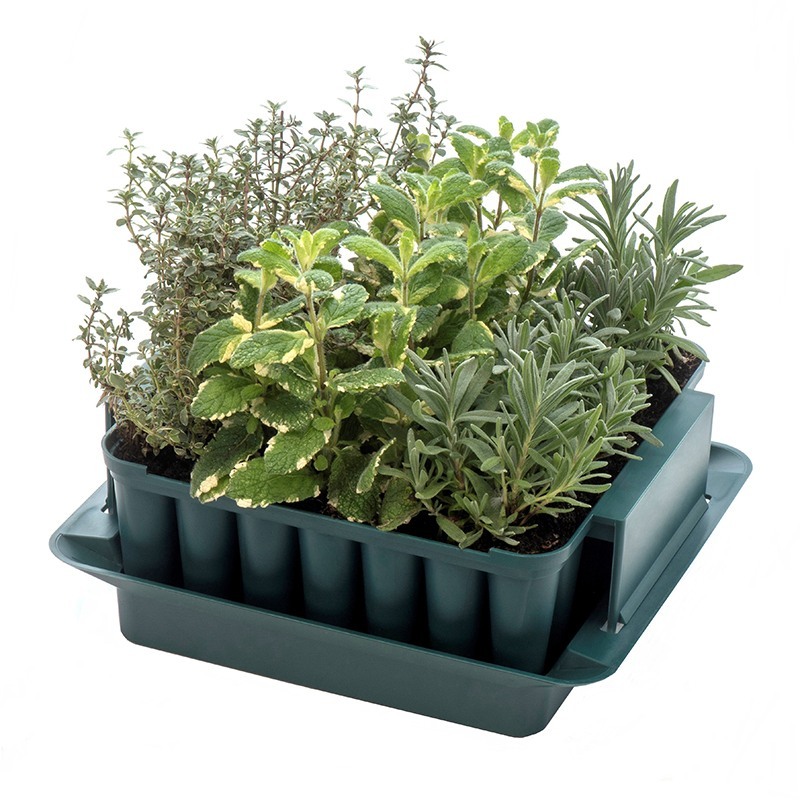 Fill the bottom tray with water and capillary action keeps the compost moist. Stackable, secure when transporting. Can be re-used many times, dishwasher safe. Height 14cm. Base 22.5 x 20cm/9 x 8in. Features 49 cells, 5.4cm/2in tall.